Over 3000 square metres of ceramic production exhibited in a unique and extremely stylish example of post-industrial architecture. 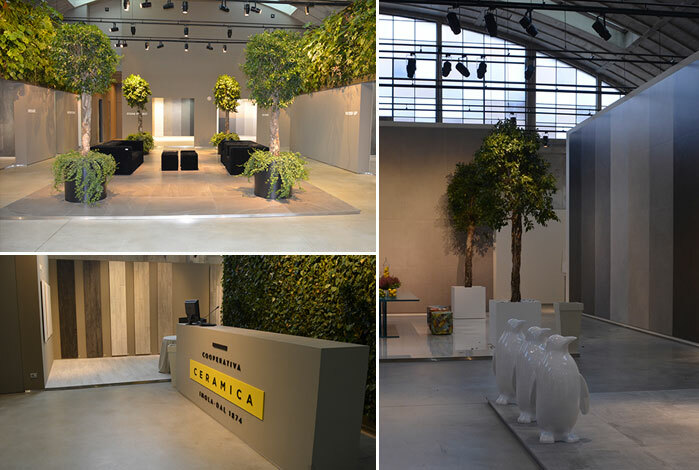 In the spacious and beautifully-organised Cooperativa Ceramica d’Imola showroom, the visitor can admire the stratified transformation and renovations that have changed this fascinating eighteenth-century glass-works into a highly contemporary space. A stroll through its various rooms means taking a journey through time, crossing decades and historical periods to enjoy a firsthand experience of tactile creativity in all its various formats.